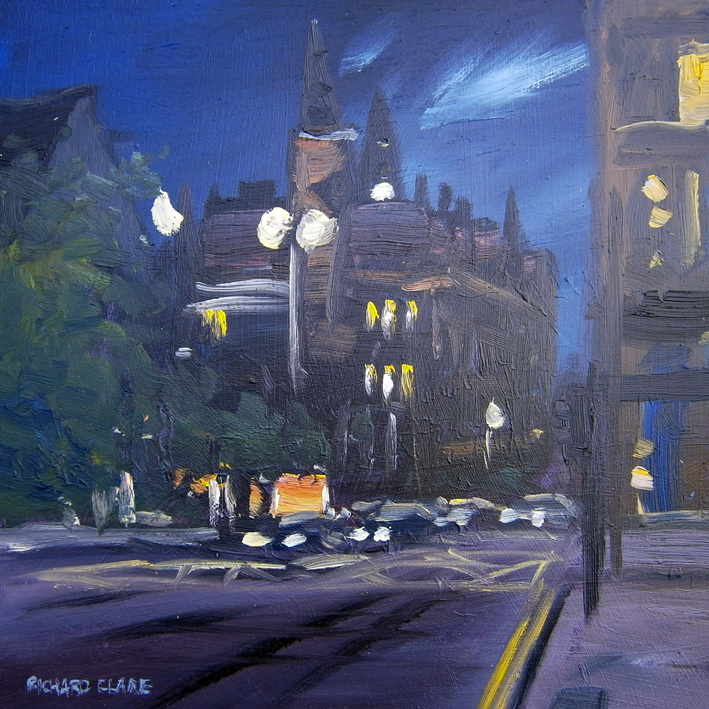 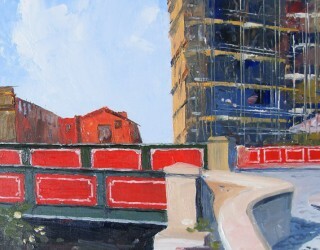 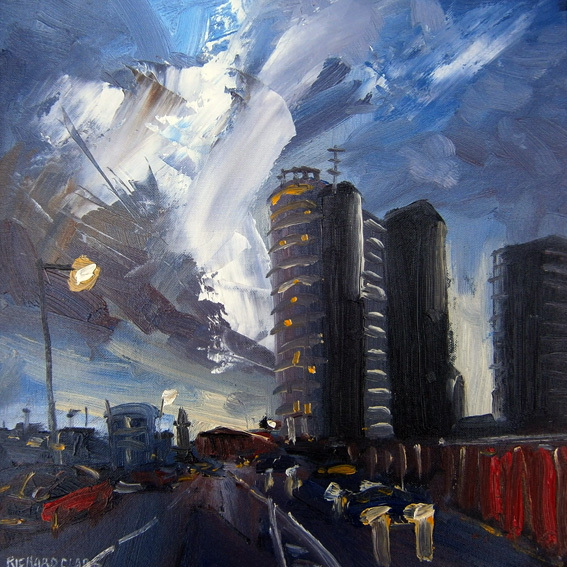 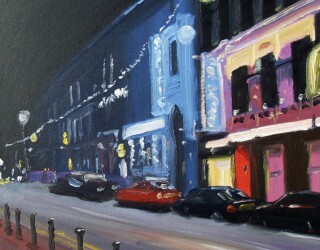 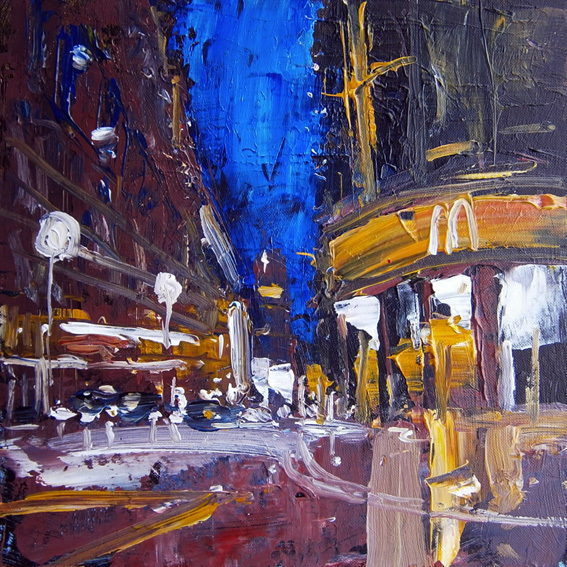 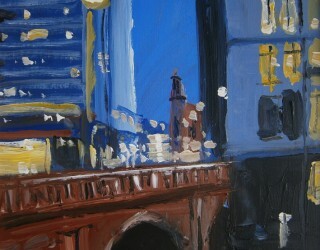 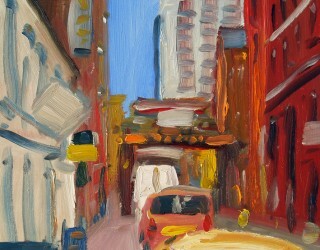 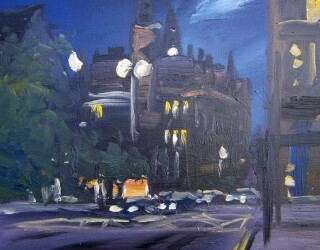 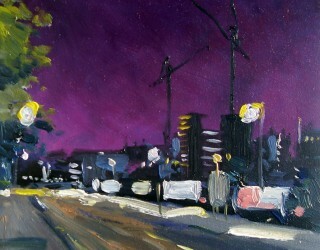 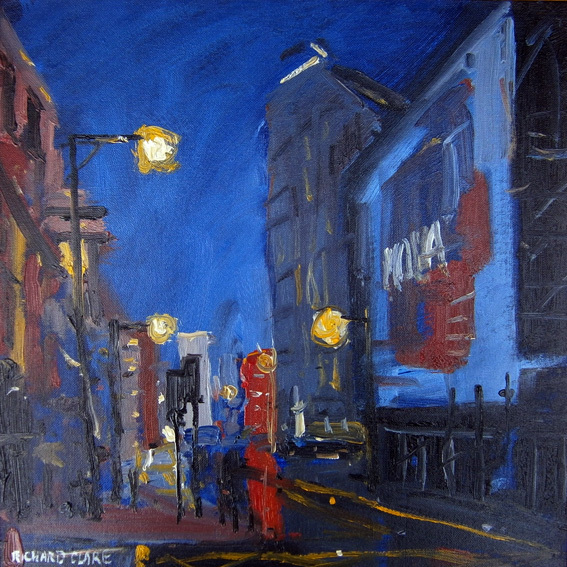 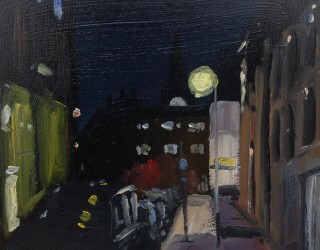 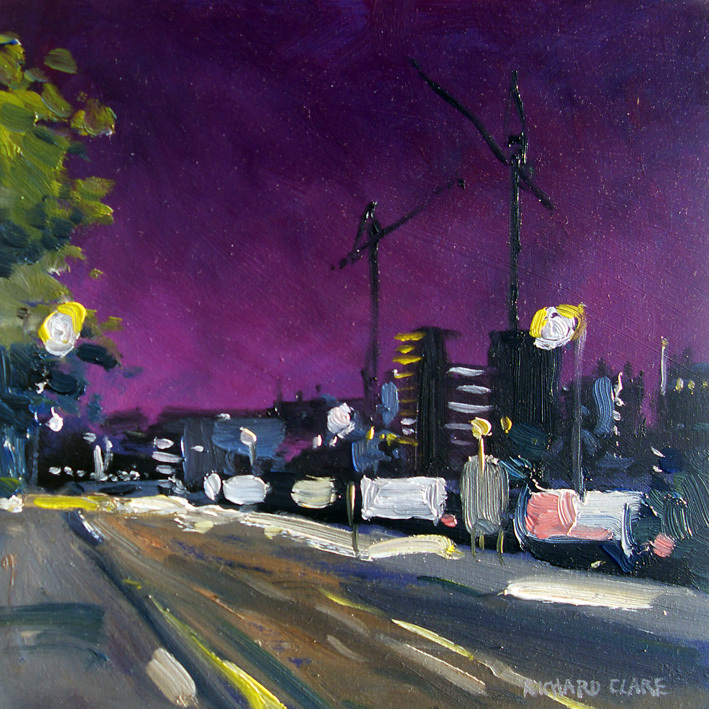 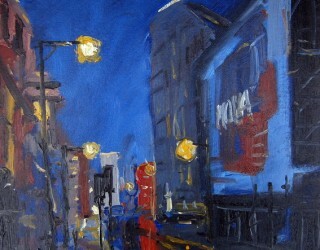 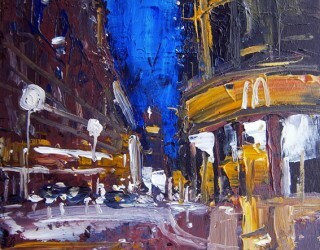 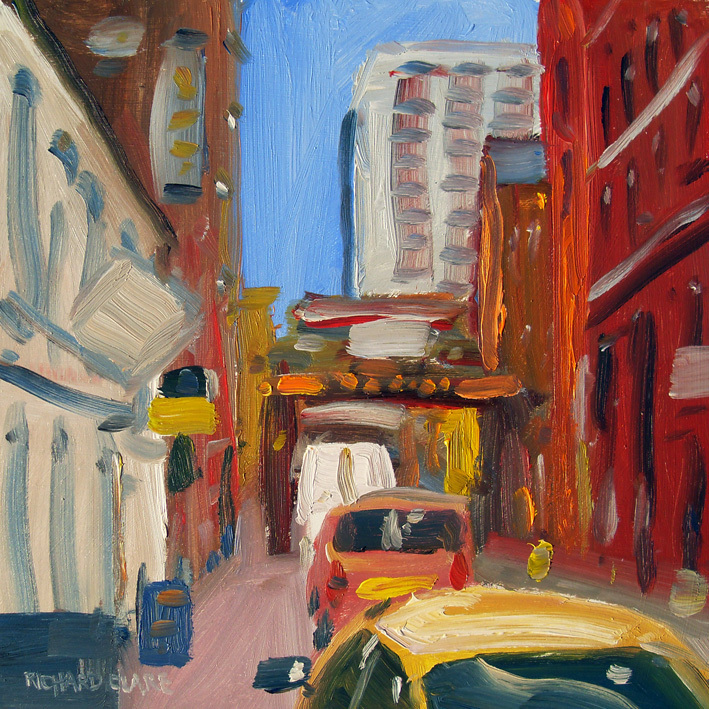 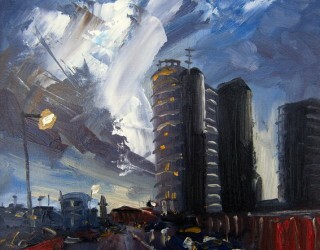 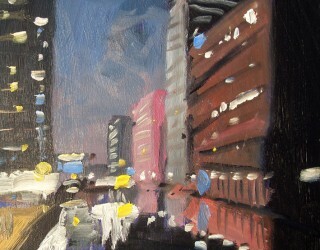 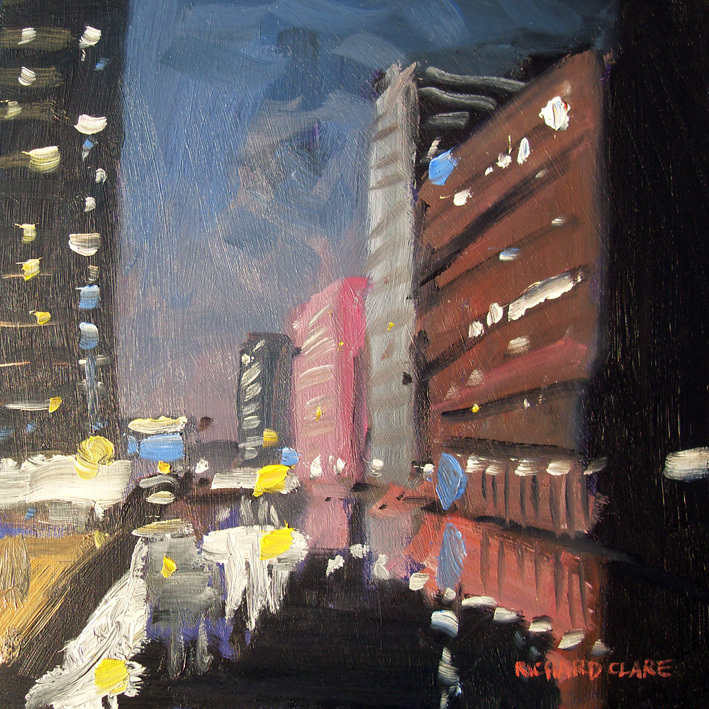 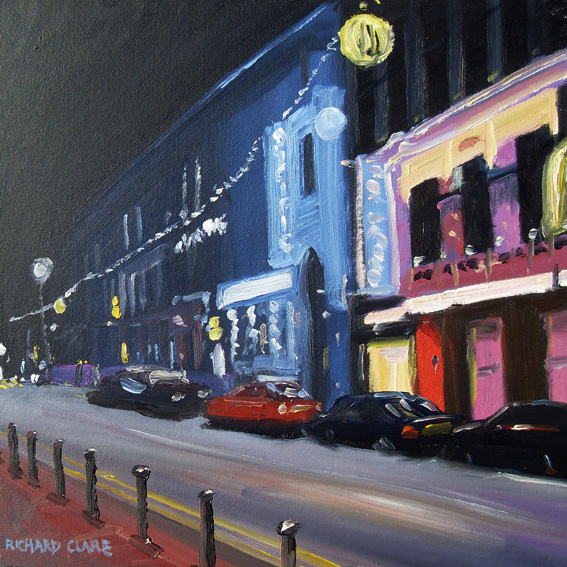 RICHARD CLARE on-line exhibition: 10 Years of Painting Urban Manchester On Now until 29th November 2014 In celebration of 10 years of both painting Manchester and exhibiting through Wendy J Levy, popular artist Richard Clare has put together a collection of paintings for this special online exhibition. 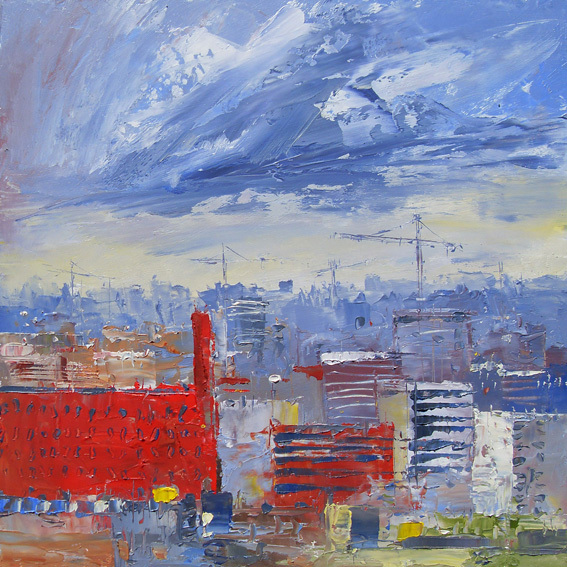 Throughout those 10 years, Manchester has gone through huge changes, becoming a vibrant, visually exciting city. 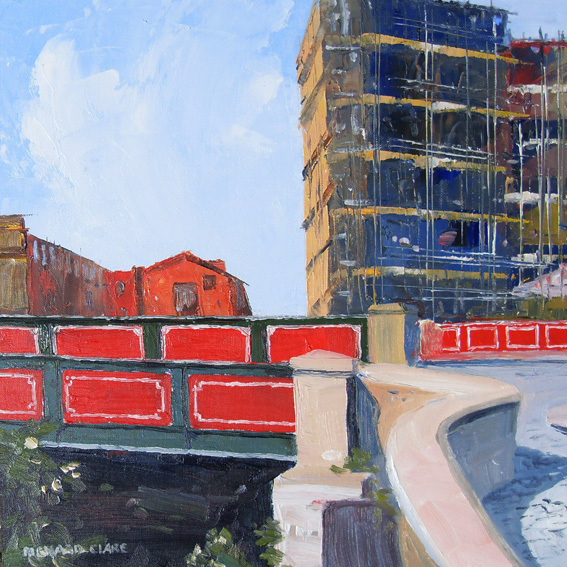 There has been boom years where cotton mills were restored and renovated, and every inch of land built on with chic apartments and retail shops. 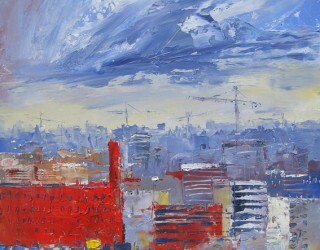 And there was the recession where building work stopped overnight and the cranes fell silent. 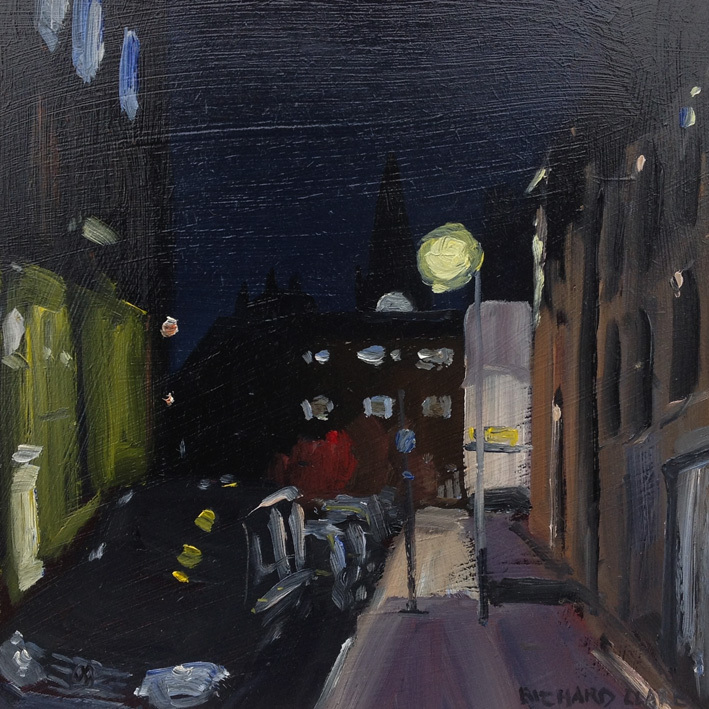 Richard spent seven of the last ten years living in Italy but continued to come back frequently to paint this inspiring city. 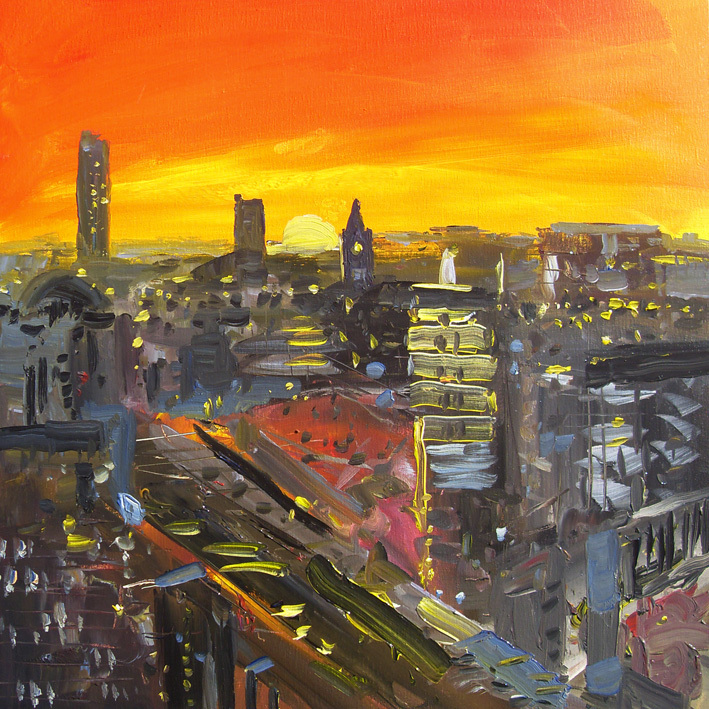 He has documented the ever-changing skyline throughout this time and as Manchester now re-awakens with all the joy of a new day dawning we are happy to present this wonderful online exhibition. 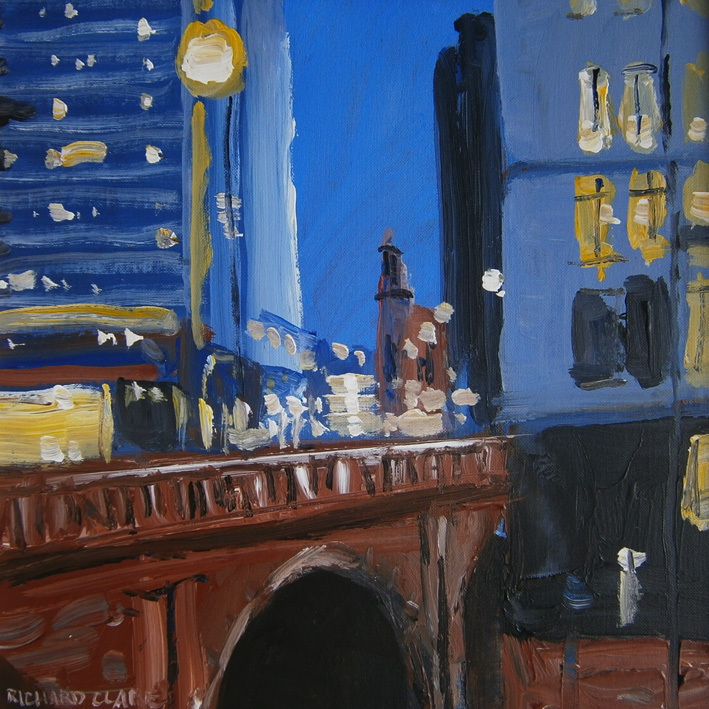 Any of the paintings can be purchased online but if you wish to see any of the paintings in reality please contact Wendy Levy to arrange a viewing.